Six team members from Shire Hall, Greenhill Manor and our Central Support office have been shortlisted for the prestigious Wales Care Awards. Hannah Leggat, Ashden Prance-Bowen and Carys Davis from Shire Hall, our care home in Cardiff, are up for awards in the ‘Nurse of the Year’, ‘Exceptional Newcomer’ and the ‘Excellence in Catering’ categories. 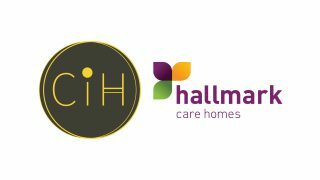 Karen Beech and Karen Wilcox George from Greenhill Manor, our care home in Merthyr Tydfil, are finalists in the ‘Leadership and Management in Residential Care Services’ and ‘Excellence in Palliative and End of Life Care’ categories. Meanwhile, Executive Chef Brian Lane, who supports all 16 of our homes has also been shortlisted for the ‘Excellence in Catering’ category. The esteemed awards, first established in 2003 by Care Forum Wales, seeks to reward the champions in the sector and raise public awareness of the contribution made by the social care workforce. Clinical Care Manager, Karen Beech said: “I’m not one for the limelight, but it’s very rewarding to hear what other people think of you and it’s given me a boost. Unit Manager, Karen Wilcox George said: “It’s an honour to be shortlisted, and I’m looking forward to the night. “I love my work. It’s making sure there is the best possible experience for everybody. People deserve compassion and dignity. Chair of Care Forum Wales, Mario Kreft MBE said: “The event is now firmly established as one of the highlights in the Welsh social care calendar. The winners of the Wales Care Awards will be announced at a glittering awards ceremony on 17th November at City Hall in Cardiff.